Happy December lovely readers! This post is my “busy people gotta bake” post. 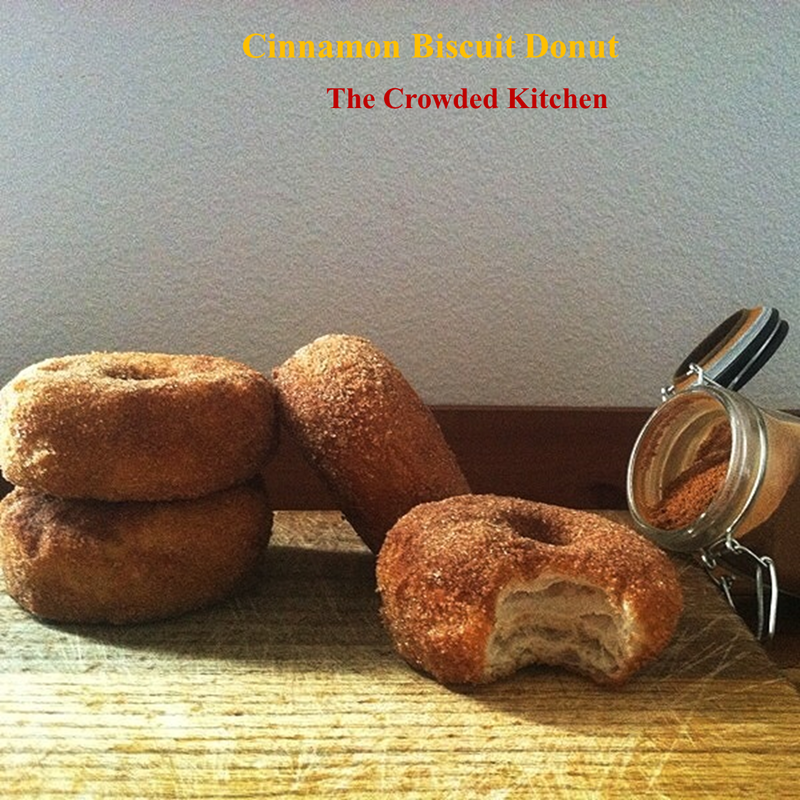 Its a 15 Minute Cinnamon Spiced Biscuit Donut, the biscuit part is because we’re using prepackaged biscuit dough. *GASP* prepackaged? Yes and trust me it taste amazing. The main thing I like about this recipe, besides the taste, is the fact that it’s still homemade and your own even though your getting some help in the time consuming department. Behind the Scenes (BTS): Sadly this frying a biscuit into a donut was not my idea, apparently it’s all over the internet and I’m just finding out about it. 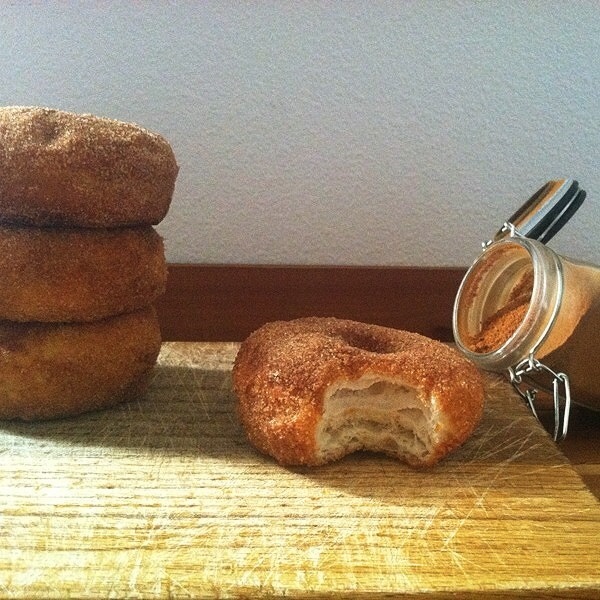 I was researching biscuit recipes to make them from scratch and then I found this whole fry your prepackaged biscuit dough and turn it into a donut phenomenon, it was really too tempting not to try. So I tried it with a simple and traditional twist before I decided to get crazy with other flavors (which I will). 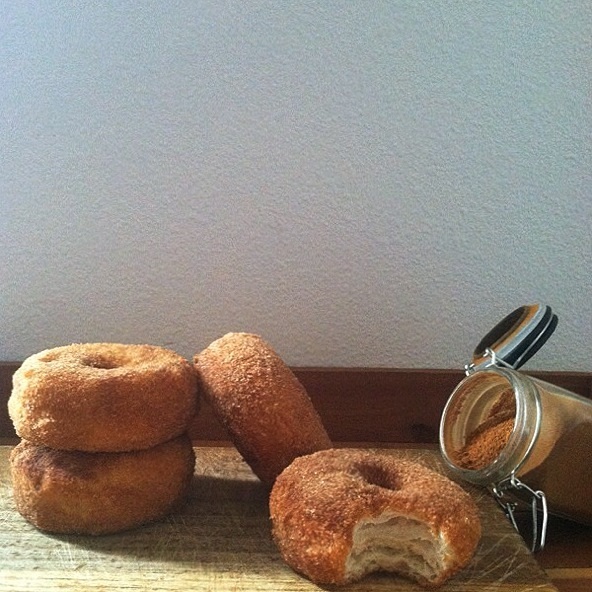 I have tons of seasoned sugar at my house from lemon, lime, orange and cinnamon and I chose to use my cinnamon sugar. Not that interesting of a BTS but very insightful I suppose. 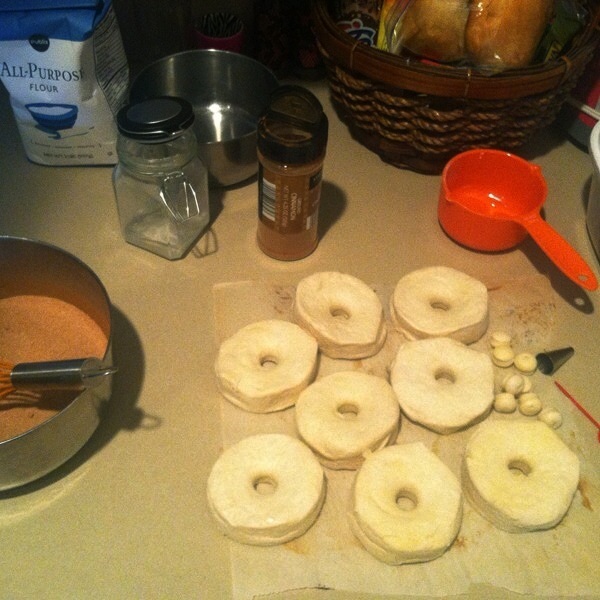 Usually whenever I make donuts it’s from scratch, which is probably why I rarely make donuts. I use a brioche dough recipe and do all the necessary steps to make a donut, while I love the handmade process it can take upwards of half a day just to make not even a full dozen so I usually only do it when it’s requested of me. I think this will be my “I’m busy and want to make some donuts in a jiffy” recipe and will be used way more than my handmade method. I’ll just channel my inner Sandra Lee. Adjustments: I made no adjustments to this recipe, why would I? It was so easy, no lie in 15 minutes you’ll have these donuts; so stick to the path of ease and surprise friends and family. The next time I try this, which will be soon, I will try different flavors and different methods of flavoring. This can be a tad bit on the difficult side since you can only really flavor it after you’ve fried it since it’s already dough and not made from scratch. 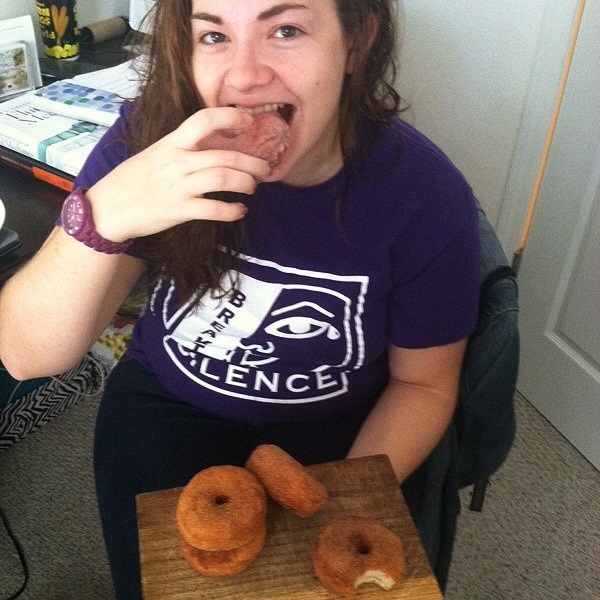 the lovely and hilarious Jace was so sweet to be my donut model and co-test taster! love you Jace! Ta-Ta-For-Now: Well with a easy recipe we have a quick written post. I hope you all enjoy this recipe and use it since it really is simple; usually all my recipes require at least 40 minutes of your time so giving you guys something easy and quick is a pleasure. Love you all and ENJOY! Combine your sugar and cinnamon into a medium size bowl and mix thoroughly. Once hot enough put two biscuit doughs at a time in the oil, once browned flip over with chopsticks or other flipping utensils. This should take 1 to 3 minutes as a whole. Once fully fried put on paper towels to take the excess oil off then immediately put into cinnamon sugar and cover thoroughly. Continue with the rest of the biscuit dough until all 8 are finished. You can eat instantly or wait; they stay good for 3 days in an airtight container.